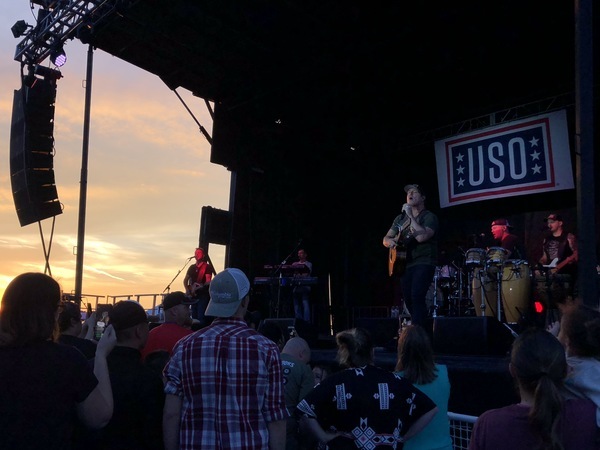 Jerrod Niemann’s support of the military has become a personal one after participating on USO tours. 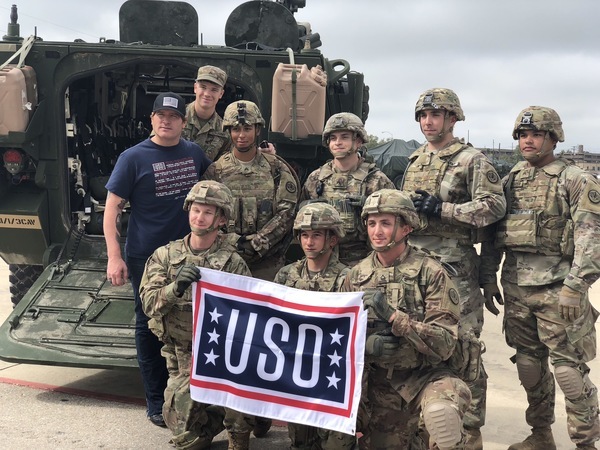 The country music singer and songwriter, who has sold over 20 million albums and downloads, has always been a passionate supporter of service members. However, after hearing about the Niger ambush of U.S. troops on Oct. 4, 2017, which resulted in the fatalities of four soldiers, Niemann was especially affected. While watching the news coverage, he was struck by his memories of meeting service members at concerts over the years and the personal stories that they had shared with him. So he began to write. Niemann first performed “Old Glory” this past December on the Joint Chiefs of Staff’s annual USO Holiday Tour of 2017. He sang the song for the first time in front of an audience of service members at Bagram Air Base, Afghanistan; the crowd gave him a standing ovation. “I had chills,” said Niemann. Most recently, Niemann visited Fort Hood in Killeen, Texas, on Sept. 28, 2018, to share a casual jam session with a few service members and their families, get a tour of the base and perform a concert for the entire base. 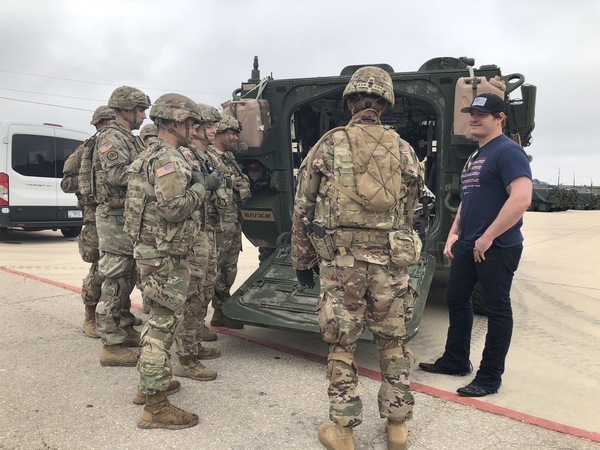 Service members give Jerrod Niemann a tour of the base and explain their duties at Fort Hood. 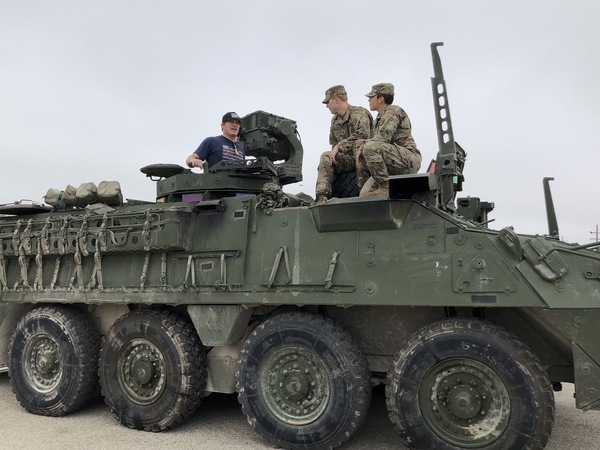 Jerrod Niemann poses with service members while on a tour of Fort Hood.